This is the third in a series of posts featuring each celebrity team playing in the 2018 Ace Shootout premiering on March 26, 5:00 p.m. EDT on Golf Channel. 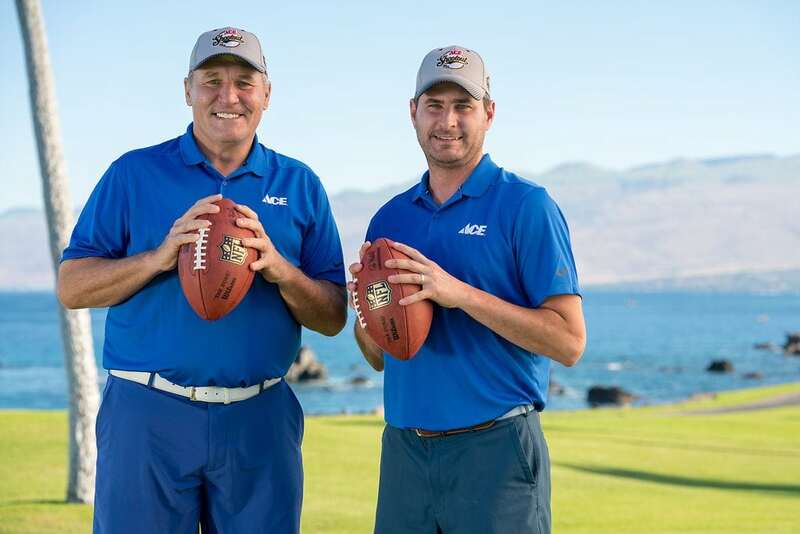 The 2017 Ace Shootout Champions Marc Bulger and Mark Rypien will defend their title at the 2018 Ace Shootout. Marc Bulger had an 11-year career in the NFL which included stints with the Saints, Falcons, Rams and Ravens. Marc is also a two-time Pro Bowler. He is playing for Monroe Carell Jr. Children’s Hospital at Vanderbilt. You can vote for either Mark or Marc as your “Fan Favorite” at AceShootout.org. The player with the most votes will receive a $10,000 donation for the hospital they represent. Special thanks to Milwaukee Tool for sponsoring this year’s Fan Favorite online voting.